We are committed to reducing the environmental impact of our operations and to providing industry-leading technical and advisory services to assist our customers and business partners to do the same. Minimising environmental impacts of A.G. Coombs Group operations and our supply chain organisations. This relates to our utilisation of materials and resources (metals, refrigerants, fuel, consumable goods, energy, water etc. ), and waste and management. Minimising environmental impacts of our customers’ businesses through the proactive provision of our environmental capabilities and services. This relates primarily to energy and water efficiency however extends to broader environmental issues and providing senior consulting support to assist customers to establish environmental programs. Minimising the environmental impact of the property, construction and facility management industries through our significant leadership in and contribution to industry associations and initiatives. Minimising the environmental footprints of our staff and site personnel in their private lives through the provision of education, training and coaching. 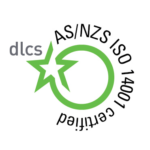 The A.G. Coombs Group operates a fully documented environmental management system that is independently certified to Australian Standard AS/NZS ISO14001 Environmental Management Systems framework. TAKE2 is the Victorian Government’s collective climate change initiative. It supports Victorian individuals, business, government, educational and community organisations to take meaningful action to reduce climate change. We are very pleased to be part of TAKE2, view our commitment to change action plan. Additionally we are an experienced Energy Performance Contractor and a pre-qualified member of the Victorian and NSW government’s EPC panels. Find us on the Governments list of pre-approved energy efficiency experts. Take a look at our industry awards for environmental capabilities and performance.